This post was originally published on the DefeatDD blog. 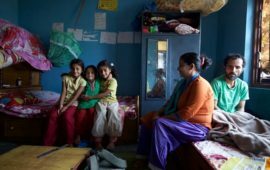 As in 2018, 2019 has seen its share of disheartening headlines of conflict cascading to children and families, who bear the brunt of the burden and fallout from infectious disease outbreaks like typhoid and cholera. 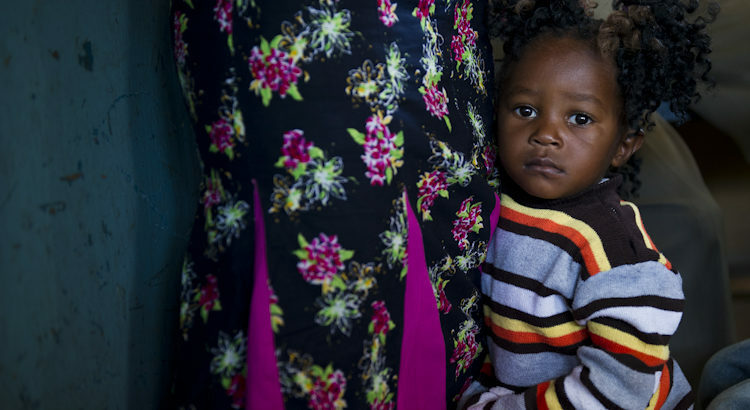 Conflicts simply amplify the ongoing diarrheal disease crisis that affects children every day in vulnerable communities. 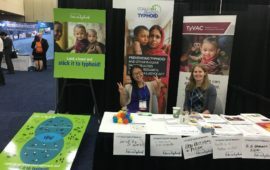 Vaccines and water, sanitation, and hygiene (WASH) efforts work best when they tag team: vaccines serving as a stop-gap measure while long-term WASH infrastructure and behavior change operates in parallel. Here are a few different partner perspectives on the need for comprehensive programs to reach the most vulnerable and strengthen health systems to get ahead of outbreaks before they start. The global goal to end cholera by 2030 will only be achieved by addressing “hot spots” where WASH services are sub-standard and where the most vulnerable and ignored populations live.Providing the oral cholera vaccine alongside both immediate and longer-term WASH infrastructure improvements provides a comprehensive solution to meet both today’s and tomorrow’s challenges. Bruce Gordon, Coordinator of Water, Sanitation, Hygiene and Health at the World Health Organization, on behalf of UN-Water. In Zimbabwe, we have had an ongoing typhoid outbreak in and near Harare since 2017. We understand firsthand the necessity of using both vaccines and WASH to prevent and address outbreaks of waterborne disease and to achieve universal health care. We continue to improve WASH to prevent these outbreaks in the long-term, but in the short-term, vaccines are the best way to protect children. We recently completed a mass vaccination campaign to protect more than 300,000 people, mostly children, with typhoid conjugate vaccine—the first-ever campaign with this safe and effective new vaccine in sub-Saharan Africa. Oral cholera and other vaccines alongside improvements in WASH infrastructure are an example of how emergency programs and long-term development can bridge together to create resilient communities. The presence of cholera in the 21st century is a stark reminder of the huge inequalities that persist globally today. An ancient disease eliminated from developed countries over 150 years ago, cholera continues to pose a significant public health threat to the poorest and most marginalised in society with an estimated 2.9 million cases occurring annually. However, every case and death from cholera is entirely preventable with the tools we have available today including access to water, sanitation and hygiene (WASH), as well as oral cholera vaccines. WaterAid is working with the Global Taskforce on Cholera Control (GTFCC) to support countries to plan for and implement a targeted and multi-sectoral approach to end cholera by 2030. Diarrhoeal disease affects all children around the world, but those who live in settings with poor sanitation and high malnutrition are at greatest risk of severe disease and death. The world has pronounced its target of achieving universal healthcare. Universal means everybody: everybody reached, everybody vaccinated, everybody given the chance to grow and thrive, and every one of us taking that responsibility personally. Universal also means doing everything we can and all things that we know work. It means making the most of synergistic benefits from vaccination together with other crucial public health interventions like water and sanitation, like nutrition, like education and empowerment of communities, and particularly of women. Universal means together for all. We all must do our utmost in every way to benefit all children. No child should be left alone, uncared for, unprotected. We owe them that care. Diseases from contaminated water and poor access to sanitation remain a reality for far too many people affected by crisis today. The IRC has seen this in many emergency responses, including to the devastating cholera epidemic — the worst the world has seen — that took place in Yemen last year. By ensuring all people, including those affected by crisis, have access to safe water and sanitation, lifesaving vaccines, and primary healthcare services, we can greatly reduce the number of people losing their lives to preventable disease every year.